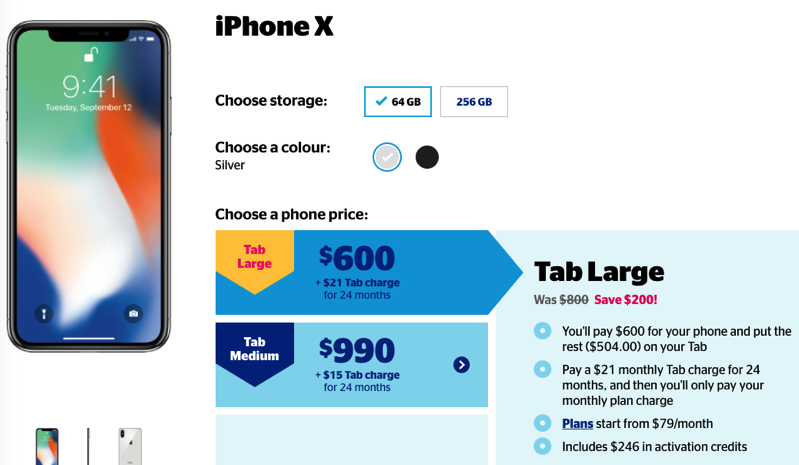 Koodo Mobile has a sale on iPhone X right now, offering $200 off 64GB and 256GB models, on Tab Large. Apple currently sells the 64GB iPhone X for $1319 and 256GB for $1529 respectively. While this is not a huge discount, it’s pretty warm considering iPhone X came out in the fall. These phones are sold unlocked from Koodo Mobile, so if you decide to sign up, you could theoretically cancel, then pay out the Tab balance for your iPhone X. More discussion about this deal is over here at RFD. Let us know if you’re going to jump on this.